We're going to lighten it up for 2016, revisit some classics and maybe a few other titles you meant to check out and look for laffs. In the July/August issue of Imbibe (#56), Joshua M. Bernstein's article, "So Metal: Once Knocked As A Novelty, Canned Craft Beer Is Growing Up," local brewer Stillwater's Yacht is listed as one of "Ten To Try:"
A week ago, John Waters gave this commencement address to the 2015 graduating class of the Rhode Island School of Design. Executioner And Friend - The Slime Lord (Ep #1) is a new cartoon from cartoonist Jimmy Giegerich. Fight Frogs - (which we're REALLY hoping also gets turned into a cartoon) a comic about three totally rad frog brothers named Crud, Scuzz, and Gorp who live in a post-apocalyptic wasteland, listen to heavy metal, rumble with gangs of animal men and party hard! 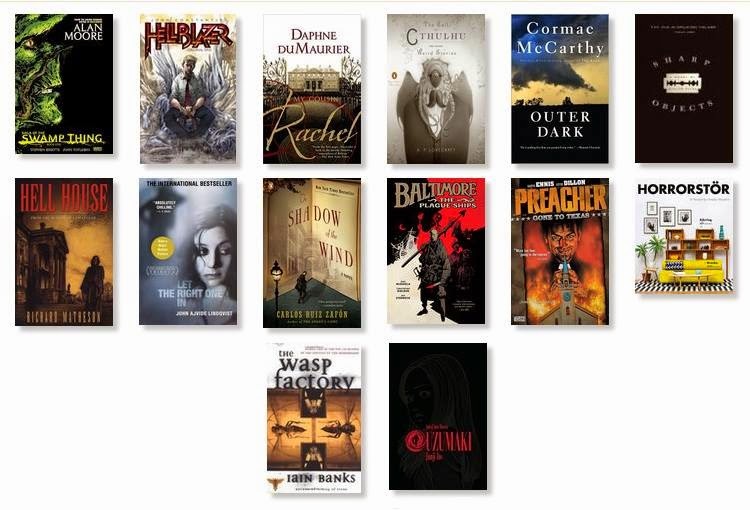 We're going to take a turn down a darker street for 2015, revisit some classics and maybe a few other titles you meant to check out. We're doubling up on comics this year. As always, you'll get 15% off the books, but if you choose to do the double graphic novel months, you'll get 40% off the two.